All students find it hard to cope with their financial obligations, and nursing students are no exception to this rule. 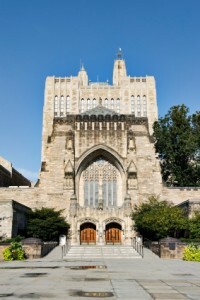 Fortunately, there are numerous scholarships and grants available to deserving students and some of them are specific to students who are resident in Connecticut and/or who wish to study in educational institutions located in Connecticut. Grants and scholarships are available to Connecticut residents at all levels of study and are offered and administered by such diverse organizations as community foundations, nursing leagues, memorial funds and even the Association of Jewish Registered Nurses. Each of these different grants and scholarships will have their own specific eligibility requirements but all have in common that the students must be Connecticut residents. They also all base their selection on factors like academic achievement to date and involvement in the community, as well as financial need, so the better a student’s record is, the more chance he or she will have of being awarded a scholarship or grant. This list is not exhaustive and further information can be obtained from resources like Connecticut educational institutions and nursing websites. Students enrolled in graduate studies are only eligible after they have completed 18 credits in the nursing program (again, this has to be verified by their dean or program director). These scholarships are awarded during Student Day in the fall of every year and further information can be obtained directly from the Connecticut League for Nursing at 51 North Main Street, Suite 3D, Southington, CT 06489 (tel: 860-276-9621 and website: ctlrn.org). Applicants must already be enrolled, or must be planning to enroll, in an accredited college nursing program. Exactly who will receive the scholarship will also be determined by factors such as how active the applicant is within the community and academic record. Further information regarding this scholarship can be obtained from the Association c/o The Scholarship Chairperson, 10 Tanglewood Court, Bloomfield, CT 06002. This scholarship is awarded under exactly the same terms and conditions as the Eva Levitan Memorial Scholarship, except that it is for $500 instead of $750. Information concerning applying for this scholarship can also be obtained from the Association of Jewish Registered Nurses. This scholarship is awarded through the American Association of Nurse Anesthetics and one award of $1,000 is made each year. The deadline for the submission of applications is April of any given year and this scholarship’s overall objective is to provide financial help to those members of the AANA who wish to enroll for further study in Connecticut-based schools. Applicants must also hold a current nursing license and at least a bachelor of science in nursing. Other factors that will influence an applicant’s chances of being awarded the scholarship include academic achievement and the level of the student’s involvement in community and school activities. The AANA can provide further information regarding this scholarship and can be contacted at 222 S Prospect Avenue, Parkridge, IL 60068 (tel: 847-692-7050. The Waterbury Foundation Women’s Club administers these grants, which are aimed at providing financial assistance to Connecticut residents who plan to attend college in Connecticut in order to study nursing or another health care-related subject. Students who have already received funds in terms of this grant can reapply and, depending on the number and eligibility of the applicants, one or more grants are made per year, and each lasts for a year. The deadline for the submission of the grant application is April of each year. Students must reside in one of the 21 towns that are located in the foundation’s service area which include New Milford, Beacon Falls, Oxford, Prospect, Thomaston and Warren. Other factors that will also be taken into consideration include a student’s extracurricular activities, financial need and academic record, and students also have to submit an essay. Further information regarding this grant can be obtained from the Foundation at 81 West Main Street, 4th Floor, Waterbury, CT 06702 (tel: 203-753-1315. 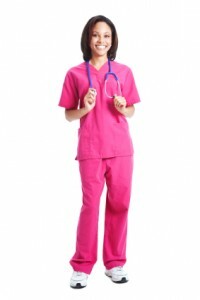 Is there any scholarships for a student living in Granby, CT enrolled in a LPN program? Is this scholarship for high school students only? If not, can second degree student be eligible?